Saudi state-run media quoted the public prosecutor as saying that primary investigation reveals that a fight broke out between Khashoggi and people who met him at the consulate and led to his death. Saudi Arabia said on Saturday that Saudi journalist Jamal Khashoggi has died, and said it fired two senior officials over the incident that has provoked an international outcry and strained relations between Riyadh and the West. A statement from the Saudi public prosecutor said a fight broke out between Khashoggi and people who met him in the consulate and led to his death. “The investigations are still underway and 18 Saudi nationals have been arrested,” the statement on state media said, adding that royal court adviser Saud al-Qahtani and deputy intelligence chief Ahmed Asiri have been fired from their positions. Khashoggi, a critic of Saudi Crown Prince Mohammed bin Salman, went missing after entering the consulate on Oct. 2 to obtain documents for his upcoming marriage. Saturday’s comments marked the first time since Khashoggi went missing that the Saudis admitted to his death. Turkish officials had said they believed he was killed in the building. Saudi Arabia had previously denied the allegations and said Khashoggi had left the building shortly after. King Salman also ordered the formation of a ministerial committee headed by the crown prince to restructure the general intelligence agency, state media said. The disappearance of Khashoggi, a U.S. resident and Washington Post columnist, strained relations between Saudi Arabia and Western allies. Arab allies have rallied to Riyadh’s support, but Western pressure has intensified on Saudi Arabia to provide convincing answers. Before the Saudi announcements, U.S. President Donald Trump said he might consider sanctions against Saudi Arabia over the disappearance of Saudi journalist Jamal Khashoggi, while emphasizing the importance of the U.S.-Saudi relationship. In Istanbul, Turkish prosecutors investigating Khashoggi’s disappearance questioned Turkish employees of the Saudi consulate on Friday, widening the hunt for clues in a case straining Riyadh’s alliance with Western powers. Turkish police searched a forest on Istanbul’s outskirts and a city near the Sea of Marmara for Khashoggi’s remains, two senior Turkish officials told Reuters, after tracking the routes of cars that left the consulate and the consul’s residence on the day he vanished. Investigators have recovered samples from searches of both buildings to analyze for traces of Khashoggi’s DNA. Speaking to reporters in Scottsdale, Arizona, Trump said it was too early to say what the consequences for the incident might be, but that the U.S. Congress would be involved in determining the American response. Asked whether Saudi sanctions were one of the measures he was considering, Trump said, “Could be, could be,” though he provided no details. “We’re going to find out who knew what when and where. And we’ll figure it out,” Trump added. The U.S. Congress is controlled by Trump’s fellow Republicans, some of whom have called for tough action against Saudi Arabia. “We will share the results that emerge transparently with the whole world,” Turkish Foreign Minister Mevlut Cavusoglu said. 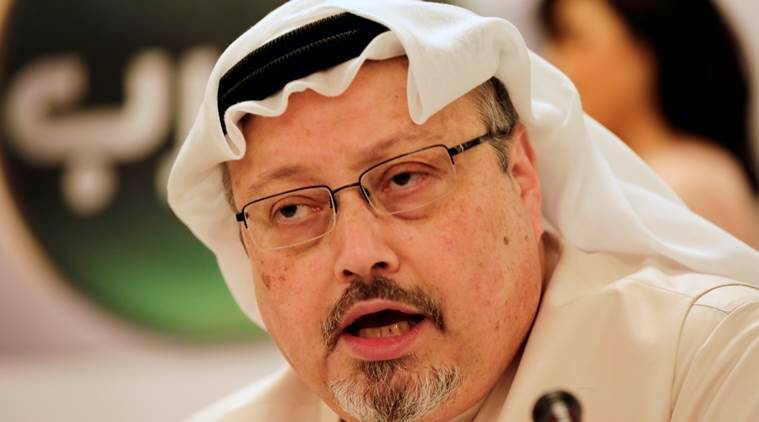 Turkish pro-government newspaper Yeni Safak has published what it said were details from the audio, including that his torturers severed Khashoggi’s fingers during an interrogation and later beheaded and dismembered him. The crown prince has painted himself as the face of a vibrant new kingdom, diversifying its economy away from oil and introducing some social changes. Other moves have faced criticism, including involvement in Yemen’s war, the arrest of women activists and a diplomatic dispute with Canada. U.S. Treasury Secretary Steven Mnuchin and senior ministers from France, Britain and the Netherlands have abandoned plans to attend an Oct. 23-25 investor conference in Riyadh. On Friday, the CEOs of Deutsche Bank and ABB , plus Airbus’ defense chief and energy historian Daniel Yergin, joined a list of Western business executives who have withdrawn. Pakistan’s prime minister and a delegation led by Russian Direct Investment Fund head Kirill Dmitriev plan to participate. Britain’s BAE Systems is sending senior representatives.